Thought id add a thread to show the progress so far and plans for the future. This is a 1.7 sdi and i have had it for ages as a daily. The colour was where we started and once my wife decided she preferred the golf gtd i started to use it. I have a T5 camper and didn't want to daily it anymore so out came the tools. I fitted coilovers, the gti front hubs/calipers and renewed and refurbed the brakes. 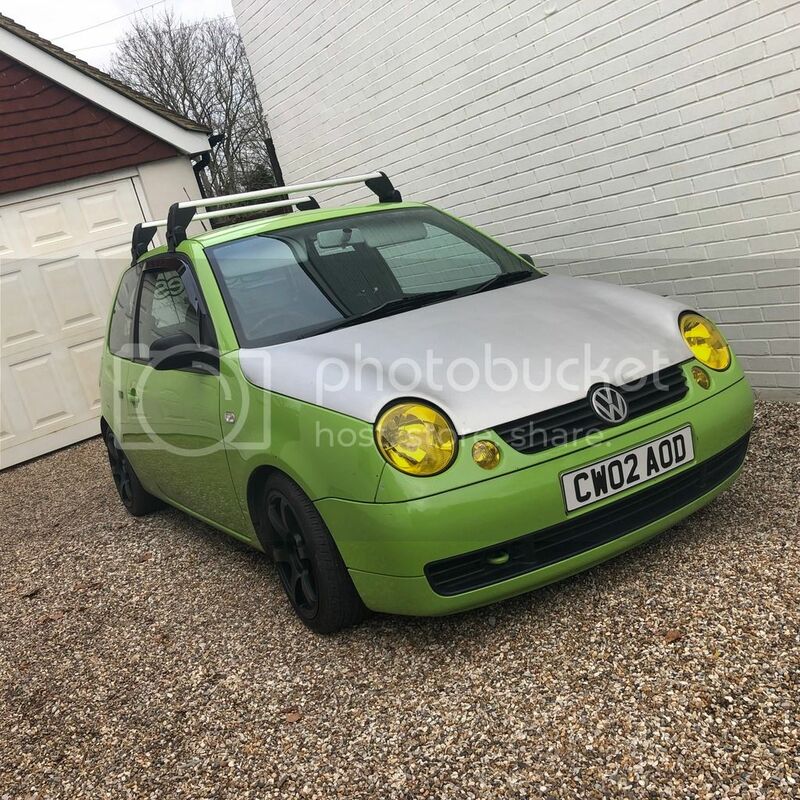 Its had a few cosmetic bits on the outside and a GTi bonnet which i stripped to bare ali one day this summer and kinda like it now. aside from this the rest has been maintenance clutch bearings etc but reckon for a little cars with 60 hp its pretty good fun. The future of the car is less certain as i am about to start cranking up the stakes. With a mate we reckon we can double the power. Turbo, injectors, loom and few other bits and lets see. Very nice indeed, watch the torque curve closely as those gearboxes are weak at the best of times. From looking at the failure mode on them, the gears and shafts are fine. The housing also can take the torque. It's the bearings that give up as they're just teeny weeny little things. Usually caused by yellow metal in the oil getting trapped in the bearing rollers, causing pitting, then failure. Or leaky input selector shaft seal, low oil level, causing needle roller bearing cage inside gear 5 melting (made of plastic). Or syncros being forced as clutch not being fully disengaged- caused by broken pedal box (the most common reason). Lots of metal in the oil leading to bearing failure. Again. The 085 box is based on tried and tested old mk1/mk2 golf design. Only thing that changed is the oil, to bring down the friction. So they used thinner oil. Not good. Good for economy, but not endurance. The 020 'box is very different in appearance to an 085, you can spot them by the green circular plate that sits on the side covering the release bearing etc. All running and buttoned up just got a few tweaks to do on maps and sensors clutch was tired anyway so slips when prodded so need an upgrade, anyone know of a 190mm upgraded kits they can recommend? I knew this was possible. There's so much space around the back of the lump. Those are awfully long compressed air ducts. 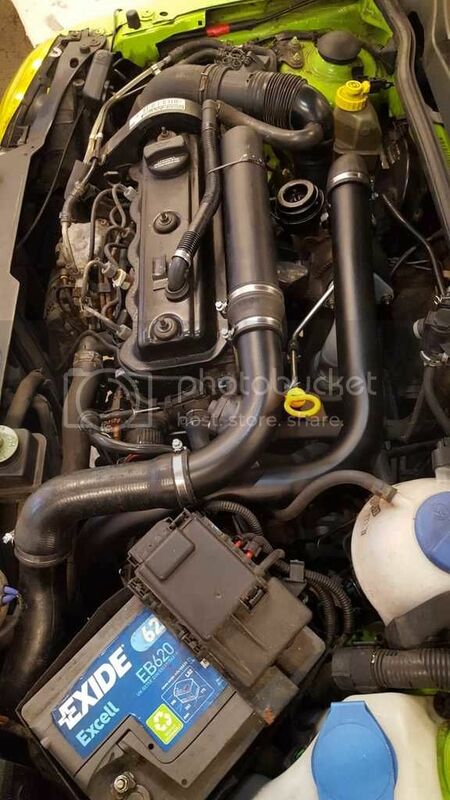 You could dump the inlet manifold as you don't need tuned rams to help reduce the volume. Or maybe ???? 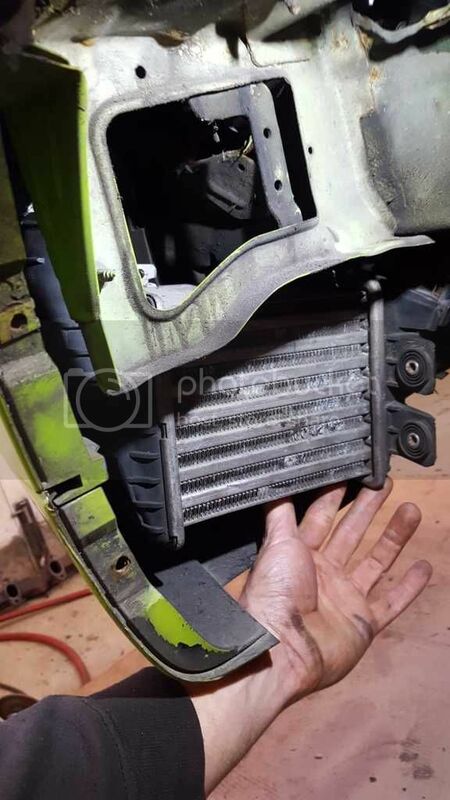 completely dump the intercooler. It might be laggy. That's a fair volume that needs to be pressurised. But experimentation is key here. Keep us up to date with your progress. Great work! clutch... Personally I'd keep it stock. You want it to give up before the transmission which will give you a reasonable safety margin. There'll be a huge amount of torque. A lot. Loads. When you map it, I'd tune for power instead of torque. The biggest weakpoints are (you already know) the gearbox bearings and the CV joints. Especially LHS outer. The mk1 diesel clutch driven plate will fit, but you need to grind off a little material on the flywheel side, on the splined centre. I don't think there's a pressure plate out there with a stronger spring, with the same flywheel fitment. Might be able to swap to a 1.9 flywheel and bigger clutch -but- I dunno if that'll fit the 085 box. I have a spare TDI intercooler I will never use. Noice! What you doing for the VNT? You remapping the SDI ECU or swapped it for something else? 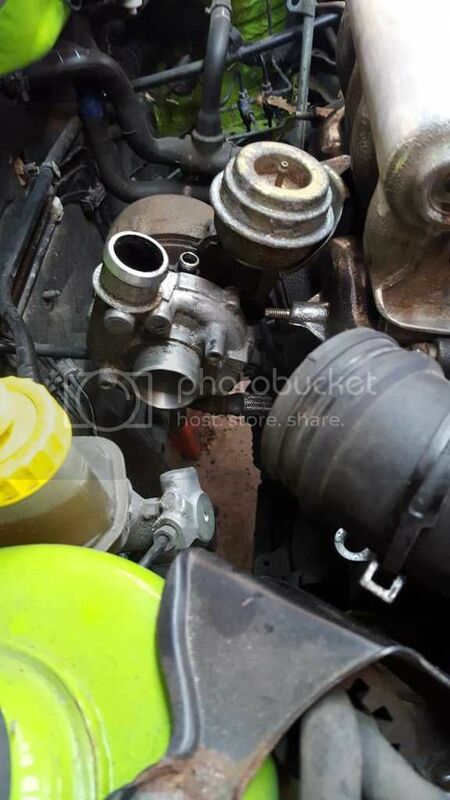 Would TDi stuff fit in the 085 bell housing? from a brief look at pics of SDI flywheel it looks same mounting and if diameter is same then good to go probably. Depending on clutch clearance. Lupo TDI Flywheel is offset balanced for the 3 pot engine so you would get some vibration if you used one and is 220mm clutch, G60 is 228mm. Being the short stroke 1.7 crank, I'm very interested to know what the power curve is like, still using stock cam (i'm guessing)? Is it quite revvy like a petrol or just like the stock tdi? 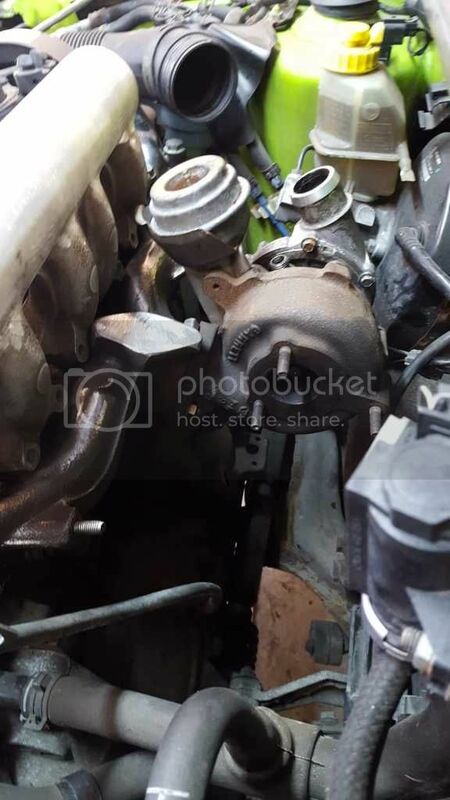 How did you deal with the injection timing? The pump and injectors are good to about 190hp ish. But like you say, if that torque is dialled back a bit to move the power higher up, it'll be a very drivable car. Nice and progressive. What nozzles are you running? I've messed with some 0.190mm (bigger than 0.170 stock) but didn't make a noticable difference other than lots more smoke. Had more fuel, but needs more air. Are you running stock 5 hole injectors? You can get 7 hole ones from the US. I'd love to know how they make such small holes. Curious that the idle is smoother with bigger nozzles. Did you inject later, like at +2 TDC? Are you running stock 5 hole injectors? You can get 7 hole ones from the US. I'd love to know how they make such small holes. EDM, very clever how they get them so accurate though. They must use teeny tiny little brass whiskers to do the spark eroding. And being such a tiny whisker, the currents must be low, which means it must take ages to make each hole. When you look under a microscope at the holes, the bores are smooth and shiney, so they must ream them out after eroding??? Still find it amazing though. Well we got another second hand flywheel and clutch assembly to have a play with but we also have a 1.9 tdi box we are gonna see if that will fit. This will tackle the clutch and the gearbox strength issues and give us slightly better ratios too. Long way to go but should have a great fun, fast and super expensive Lupo SDi turbo that doesn't shred the drivetrain by summer. small block vs large block bellhousing patterns I think, unless the SDI box is some special b@stardisation of the two. But you may as well stick a TDI (ALH etc) in or else a 1.9 SDI and turbo that (if turboing an SDI is the main objective) then you can have stronger gearboxes. But now something is reminding me that the 1.7 SDI uses the 1.9 block with short crank so maybe the TDI boxes will go straight on. For ratios you want the EXB Lupo box ideally, there are plenty of boxes with ratios about 10% shorter if you can live with that, if you want longer ratios then 02R JDD. small block vs large block bellhousing patterns I think, unless the SDI box is some special lovely personisation of the two. It must use the 085 stud pattern though as people put wrong 085s in their SDIs dont they?
. But now something is reminding me that the 1.7 SDI uses the 1.9 block with short crank so maybe the TDI boxes will go straight on. Yeah the 1.7 has 1.9 on the block so we are thinking it should work, more measuring but as Nathan says the only way we will know is if we get it up in the hole and try it.